THE government has asked BSNL to explore all options, from a revival plan to disinvestment and even closure, as it looks to tackle the bleeding at India's largest loss-making PSU. The direction to the company - which had accumulated losses of Rs 31,287 crore at the end of 2017-18 - was given following a meeting of top BSNL officials with telecom secretary Aruna Sundararajan, a national daily quoting sources said. telecom secretary, where he gave details about the company's financial health, its accumulated losses, the impact on business following the entry of Reliance Jio, and possible voluntary retirement scheme (VRS) and early retirement plans for employees. While looking at revival options, the government reportedly also asked the beleaguered PSU about the possibility of shutting business. BSNL was asked to submit "comparative analysis of all options available with the government, i.e. strategic disinvestment of BSNL, closure or revival with financial support", the report said. BSNL said, apart from competition, what is troublesome for the company is its large, ageing manpower. It spoke about the need to reduce this, either through a VRS or by bringing down the retirement age from 60 years to 58 years. Regarding VRS, the company said it will target employees aged 56-60 years that will make 67,000 employees eligible for it. "Assuming 50 percent of these employees (33,846) opt for VRS, this shall result in a saving of Rs 3,000 crore in salary bill. The ex-gratia shall vary from Rs 6,900 crore to Rs 6,300 crore for various fitment." BSNL also suggested monetisation of the company's large land-bank and buildings holding, which is estimated to be worth Rs 15,000 crore. It said this could be done over the next two-to-three years by the department of investment and public asset management (DIPAM). BSNL has also taken steps to cut down on expenditure. The telecom operator has frozen employee benefits to sustain the current market situation. The report states that the company is facing challenges in managing its finance because of a large workforce. The company has an employee base of 1.8 lakh with an annual expenditure of up to Rs 15,000 crore. The telecom company had announced that last year that it was able to save Rs 2,500 crore through several cost-cutting measures and hopes to save a similar amount in FY19. Out of the Rs 2,500 crore, the once crowning jewel of the government, was able to save Rs 625 crore in employee benefits. 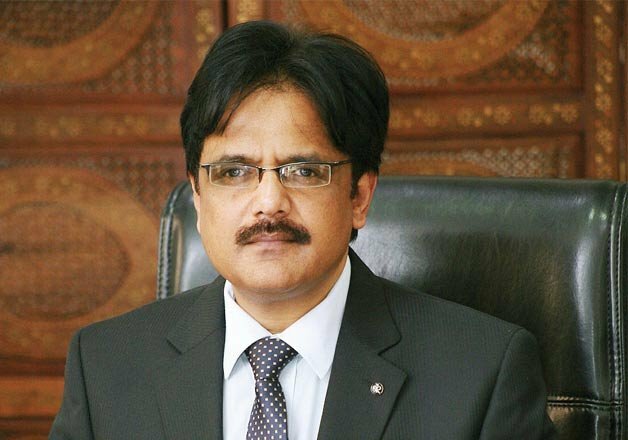 BSNL chairman and managing director Anupam Shrivastava told a daily that the company is cutting costs in administrative expenses, electricity and freezing employee benefits. The public sector company has stopped giving benefits on leave travel concession and is controlling on medical expenses as well. BSNL is working on different options on how to manage and meet the costs for VRS package, said Shrivastava. He further mentioned that employees came forward and supported the company’s move to cut down costs. Employees stated that to sustain in the market, the company would have to take such steps and benefits can be forwarded when the company is profitable. According to the Telecom Regulatory Authority of India (TRAI), BSNL was amongst several telcos that posted a fall in adjusted gross revenue which recorded a fall of 15.32 per cent at Rs 1,925.33 crore. Shrivastava said that the company’s focus is on preserving market share, for which it would have to take financial hits.